Following the delivery of the tier-1 segments of the cryostat base in December, three of the six tier-2 base segments left India on 26 May aboard the "BBC Oregon." Tier-2 of the cryostat base is composed of six curved stainless-steel segments weighing approximately 120 tonnes each. Three of them are now in the cargo hold of the BBC Oregon for the long journey to France along with the corresponding transport frames. 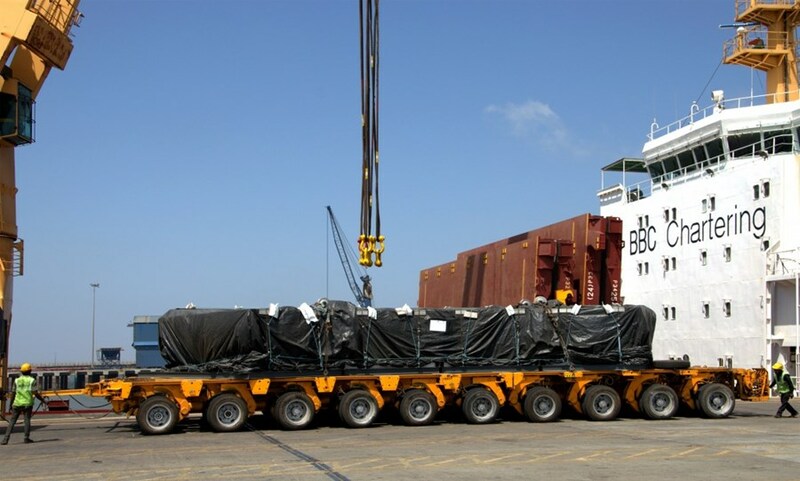 Following inspection and packing activities at the Larsen & Toubro factory in Hazira, India, the components were loaded on 10-axle trailers on 21 May. The gigantic trailers then transported the cargo to Hazira Port. 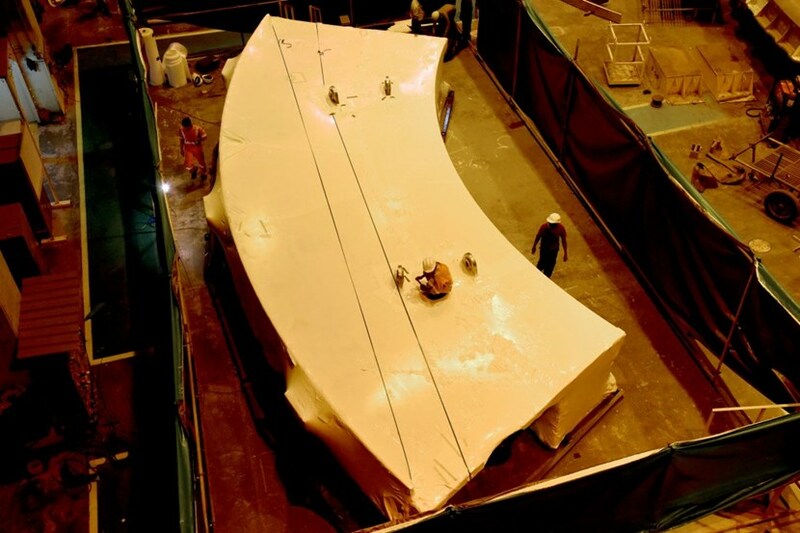 It is expected that the BBC Oregon will reach France in mid-June, for transport along the ITER Itinerary to the site. The cryostat, when fully built, will be the largest vessel of its kind in the world.